During the first listening session to discuss the 2018 farm bill, continued or increased research programs were a common topic of discussion for the growers and ranchers in attendance. 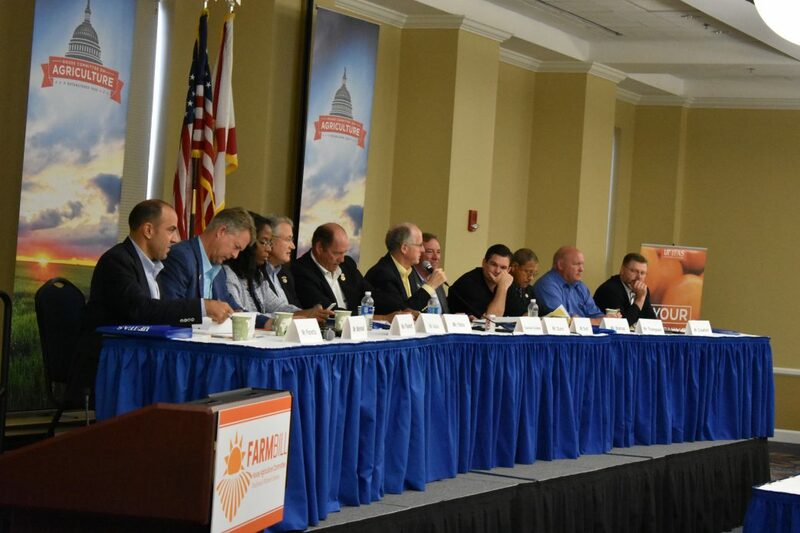 John Hoblick, president of the Florida Farm Bureau, said Florida received $31.2 million from specialty crop block grant programs from 2008 to 2015, which included money for research and marketing. He said this money was used for 208 projects to increase competition and profit in Florida for specialty crops. “Florida is ranked second in specialty crop production and first in production of multiple specialty crop areas, such as watermelons, grapefruits, tomatoes, oranges, cucumbers and snap beans,” Hoblick said. 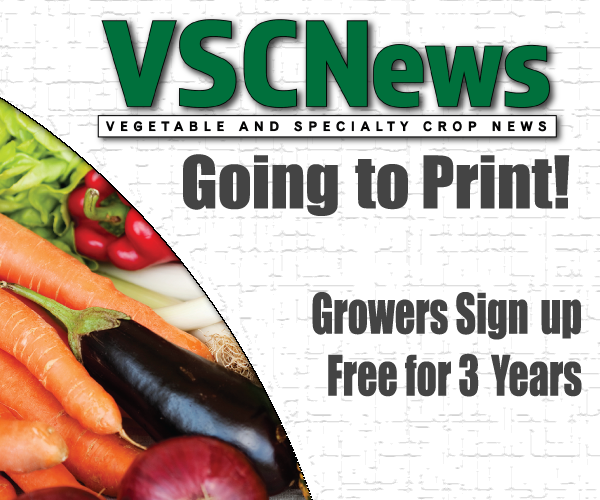 Mike Bruorton, president of Georgia Fruit and Vegetable Growers Association, says the members of the association are particularly interested in research for the farm bill. “The Specialty Crop Research Initiative, or SCRI, is a very important component for the farm bill funding,” he said. Bruorton also pointed out that the level of importance for research in specialty crops is expanding, based on the growers and industry. Another issue that research can help with is huanglongbing (HLB), a decimating citrus disease. Larry Black, a fifth-generation Florida citrus grower, said the amount of citrus being produced and the amount of land used to grow citrus are both decreased due to HLB. “University of Florida economists have estimated since 2011, HLB has cost our industry $1 billion in loss, economic activity, and over 30,000 jobs,” Black said. To help the citrus industry, Black believes the farm bill should include an extension of the Citrus Disease Research and Development Trust Fund, which was created by the 2014 farm bill. “The trust fund has funded critical research that offers long-term solutions to citrus greening and hope for our industry,” Black said. John Barber, another fifth-generation citrus grower, said the future of the citrus industry relies on research. He said even though HLB has hindered the citrus industry, there are still over 435,000 acres of bearing citrus in Florida. 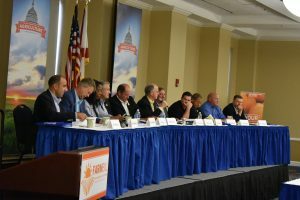 Harold Browning, chief operations officer of the Citrus Research and Development Foundation, said it is important the new farm bill include an extension of the citrus program. He said this will bring about sustainable answers to the HLB issue for the citrus industry. Robert Taylor, the dean of the College of Agriculture and Food Sciences at Florida A&M University, said infrastructure is important when it comes to doing the best research. “Just like our highways and infrastructure, we need better laboratories and more money spent on our facilities if we are to make the breakthroughs that are needed for 2050, as we feed the world,” said Taylor.